When I woke up this morning it was 9 degrees below 0! 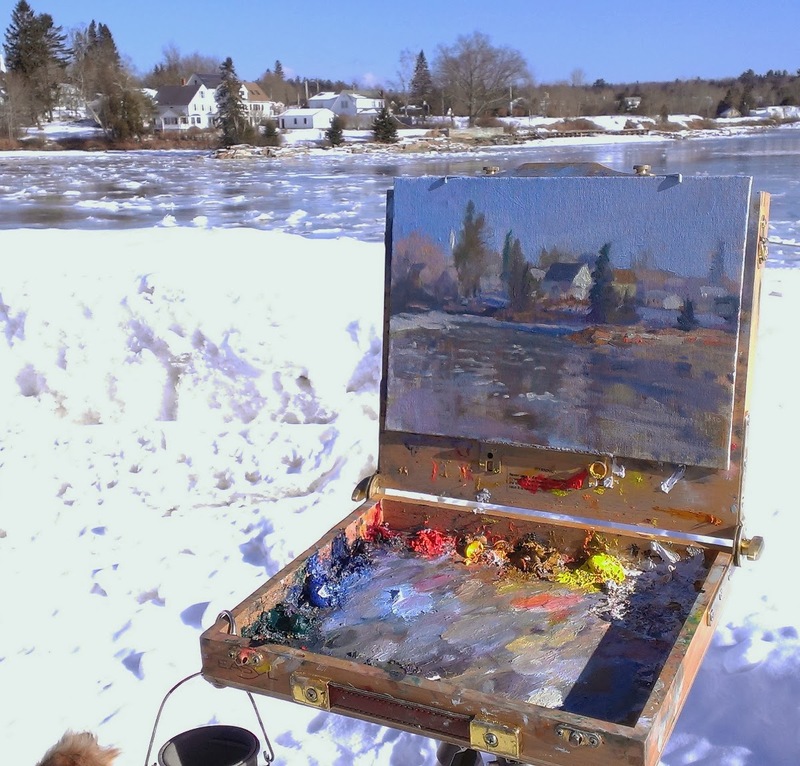 I was still determined to get out and paint, so I planned on staying close to home. 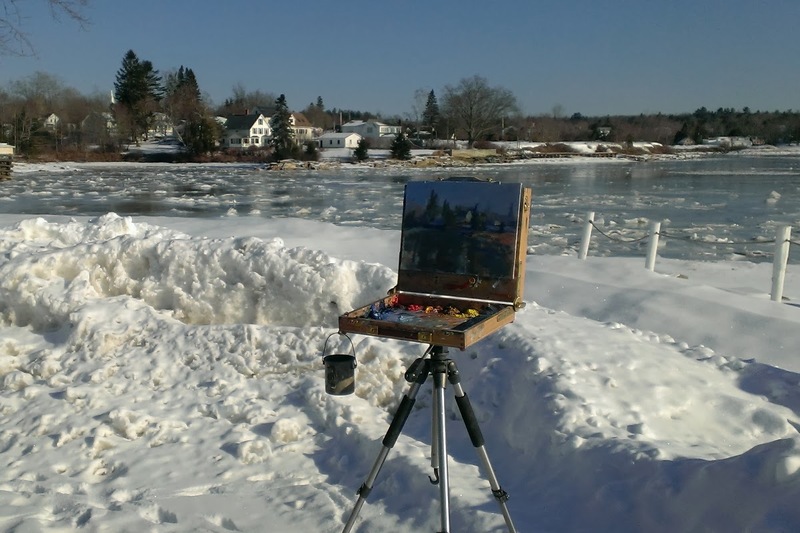 I have stalked Searsport for some good locations for a while now. Here are a few I have found. The boat landing parking lot in the early morning has a pretty view. Of course the snow just makes everything pretty no matter where you stand. By the time I set up at 8:00AM the temperature had warmed up to 7 degrees above. I was plenty warm though, no wind, very bright sunshine and a gallon of hot tea in the truck. I highly recommend those packet hand warmers though. One pack keeps your hands warm all day. I just slip one inside my gloves and I'm good for 8 hours. I live close enough to town so I can go home for a warm meal at lunchtime. 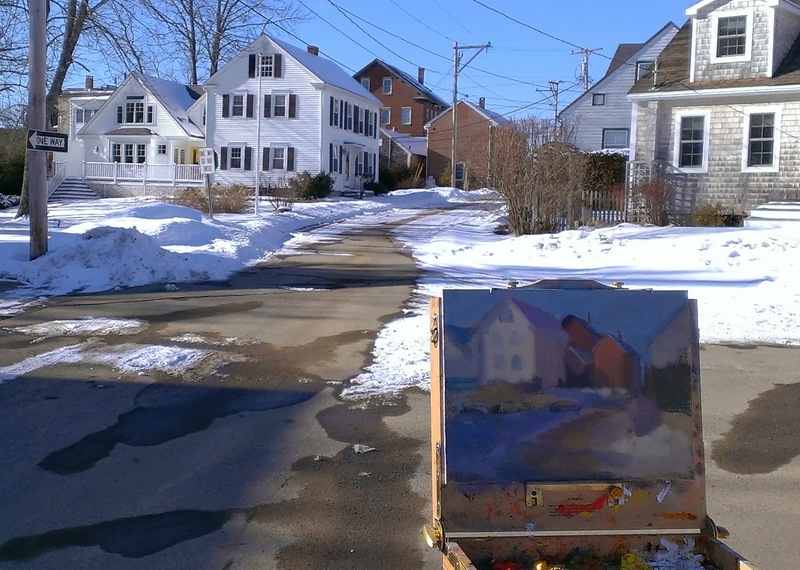 After lunch, I drove back and into the little neighborhood that was in my painting from the morning's session. I have wanted to paint this street for months and this was the perfect day to try. This has the potential for a larger version.